how can I import demo? I mean, I'd like to create the exact same page as Live Preview (the same design and similar content). Is there an option to do that with no effort, so I click to import demo and I get it all? 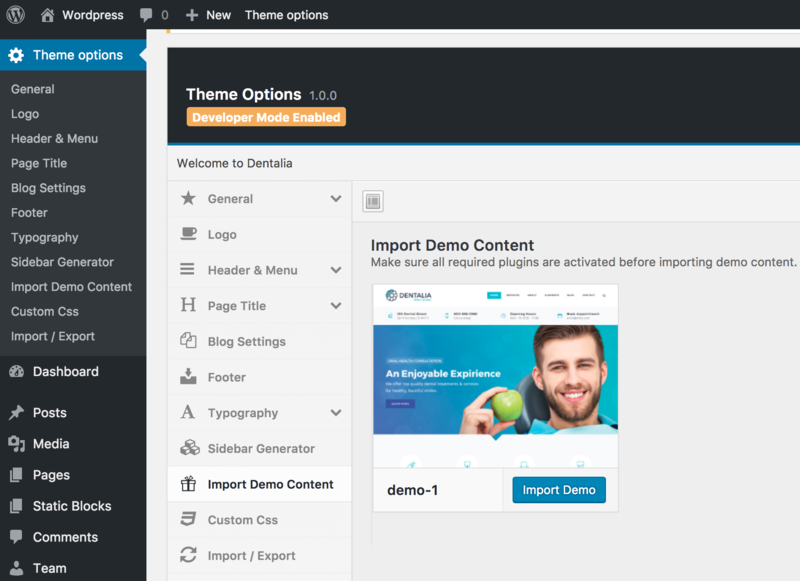 To import the demo content, go to Theme Options -> Import Demo Content and click "Import Demo". All the demo content will be imported. Everything should be the same as our demo, except for the stock images. They are replaced with ransom images, as the license of stock images does not allow distribution with the theme. If you run into any issues, let us know.